Is Crosstex Energy Inc (XTXI) Going to Burn These Hedge Funds? Crosstex Energy Inc (NASDAQ:XTXI) was in 9 hedge funds’ portfolio at the end of the fourth quarter of 2012. XTXI investors should be aware of an increase in enthusiasm from smart money lately. There were 7 hedge funds in our database with XTXI holdings at the end of the previous quarter. At the moment, there are many gauges market participants can use to analyze stocks. A duo of the most under-the-radar are hedge fund and insider trading movement. At Insider Monkey, our studies have shown that, historically, those who follow the top picks of the elite investment managers can outperform their index-focused peers by a solid amount (see just how much). Just as important, bullish insider trading activity is another way to break down the investments you’re interested in. Obviously, there are plenty of stimuli for a corporate insider to cut shares of his or her company, but just one, very simple reason why they would initiate a purchase. Plenty of empirical studies have demonstrated the market-beating potential of this tactic if you understand what to do (learn more here). With all of this in mind, let’s take a glance at the latest action encompassing Crosstex Energy Inc (NASDAQ:XTXI). Heading into 2013, a total of 9 of the hedge funds we track were bullish in this stock, a change of 29% from the third quarter. With the smart money’s sentiment swirling, there exists a few key hedge fund managers who were increasing their holdings substantially. When looking at the hedgies we track, Boaz Weinstein’s Saba Capital had the biggest position in Crosstex Energy Inc (NASDAQ:XTXI), worth close to $11.1 million, accounting for 1.2% of its total 13F portfolio. Sitting at the No. 2 spot is Israel Englander of Millennium Management, with a $10 million position; 0.1% of its 13F portfolio is allocated to the company. Some other hedge funds that hold long positions include Cliff Asness’s AQR Capital Management, John Burbank’s Passport Capital and Ken Griffin’s Citadel Investment Group. With a general bullishness amongst the heavyweights, some big names have jumped into Crosstex Energy Inc (NASDAQ:XTXI) headfirst. Passport Capital, managed by John Burbank, initiated the biggest position in Crosstex Energy Inc (NASDAQ:XTXI). Passport Capital had 1.5 million invested in the company at the end of the quarter. Ken Griffin’s Citadel Investment Group also initiated a $1.2 million position during the quarter. The following funds were also among the new XTXI investors: John A. Levin’s Levin Capital Strategies, Mike Vranos’s Ellington, and Ken Griffin’s Citadel Investment Group. How are insiders trading Crosstex Energy Inc (NASDAQ:XTXI)? Bullish insider trading is at its handiest when the company we’re looking at has seen transactions within the past half-year. Over the latest six-month time period, Crosstex Energy Inc (NASDAQ:XTXI) has seen zero unique insiders purchasing, and 2 insider sales (see the details of insider trades here). 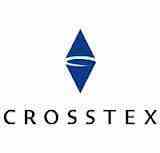 Let’s also review hedge fund and insider activity in other stocks similar to Crosstex Energy Inc (NASDAQ:XTXI). These stocks are Alon USA Partners LP (NYSE:ALDW), Eagle Rock Energy Partners, L.P. (NASDAQ:EROC), and Alon USA Energy, Inc. (NYSE:ALJ). This group of stocks are the members of the oil & gas refining & marketing industry and their market caps are closest to XTXI’s market cap.